Were You Hit By an Angry Driver? Car accidents can occur due to a wide variety of things like failure to yield, speeding, and even vehicle malfunction. However, one of the most commonly overlooked causes of collisions is aggressive driving, also known as road rage. According to data compiled by both the National Highway Traffic Safety Administration (NHTSA) and the Auto Vantage auto club show, as much as 66% of car accident fatalities are caused by angry driving. 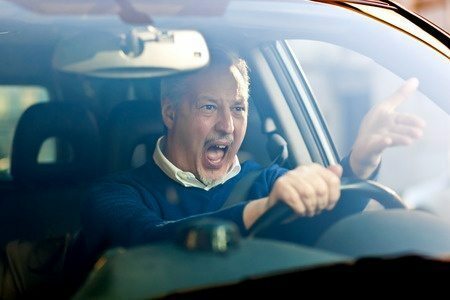 Here’s what you need to know about road rage and what to do if you were involved in a car crash caused by an aggressive motorist. The above behaviors can easily cause an accident. Brake checking or cutting off another driver can result in a rear-end collision. Meanwhile, using the car horn excessively or making obscene gestures can distract another driver. These examples can result in a reduced ability to respond to surroundings. If you are the victim of an accident that you believe was caused by angry or aggressive driving, don’t hesitate to get help. At Appalachian Injury Law, we can investigate the collision and determine who may be at fault. We’ll work hard to help you get the compensation you deserve. Call now for a consultation at (706) 515-1995 or toll-free at (800) 393-8595.